Alternate Economies and a Literary Experiment: An Invitation to Help Me with an Essay Project | Writing. Life. Yesterday I received a letter in the mail from a really funky writer friend of mine in Halifax, Nova Scotia. It contained an invitation to be part of an “informal book club” project. The letter asked me to send one already-read book to a designated recipient, and to send six more such letters to others, inviting them to do the same. In theory, the invitation explained, if everyone down the line participated, I would receive 36 random and gently used books through the mail. Yes — it’s a literary pyramid scheme! Now, ever since an old high school friend handed me a video and implored me to watch it, saying it was something I would be “really interested in” (it turned out to be some sort of incomprehensible Amway pitch), I’ve been really wary of this sort of thing. I don’t like chain letters by email or otherwise, and won’t take part in them, but something about the informal book club has appealed to me. I’ve always loved alternate economies: garage sales, freecycle websites, barter networks. I love the flow of infant clothing and equipment that happens among young mothers who pass on articles to the next woman down the line as their little ones grow, knowing that more will come their way from those with older children. It’s a simple method of recycling and a way of resisting the message that we should consume more and more and more. The informal book club idea strikes me as being in this spirit — it’s a cashless or low-cost exchange of goods, but with a surprise factor. I like the idea of selecting a book off my shelf that I’ve read, enjoyed, but can do without, and sending it off to a stranger as a gift. And I like the idea of random people doing the same for me. It’s an experiment I’d like to try, and I think there may be an essay in it. If you help, I’ll do my best to write something insightful and funny about the experience. I’m looking for six willing participants to take part in this literary experiment with me. If you are interested, please send me your mailing address via the contact page, and I’ll send the letter off to you so you can get started. As you can see by the fact that I have no ads on this site, I’m not particularly capitalistic by nature or spam-minded, so there’s no danger of your address being sold or used for nefarious purposes. Information you transmit through the contact page comes to my private email address, and is not made public. I’ll send you the book club letter and that’s it. Promise. Drop me a line, and let’s see what comes. This entry was posted in Alternate Economies, Letters, Literary Pyramid Scheme, Personal Essays by Julija Šukys. Bookmark the permalink. I’m in. Reminds me of the group that leaves used books in odd places for complete strangers to pick up…places like park benches, book stores (! ), libraries, buses – you get the idea. As of now, I have one spot left in the experiment! Send me a note if you want to be the final one! Whitney, I sometimes do that too — leave books behind on park benches or in airports for strangers to find. The best (or worst?) is when well-meaning people chase you to return the book you “forgot”! Thanks to everyone. I’ve now got all the participants I need! I’ll keep you up to date on how things go. It’s in the mail. Be patient — Canadian mail takes a while to get delivered to the US. (Domestic mail is prioritized). You should get it soon. 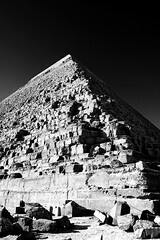 Pingback: The Literary Pyramid Scheme: A Few Thoughts on Book #1 « Writing. Life.